Tonight we hosted an open house to give the kids a chance to show off what they have been doing at camp so far this summer. 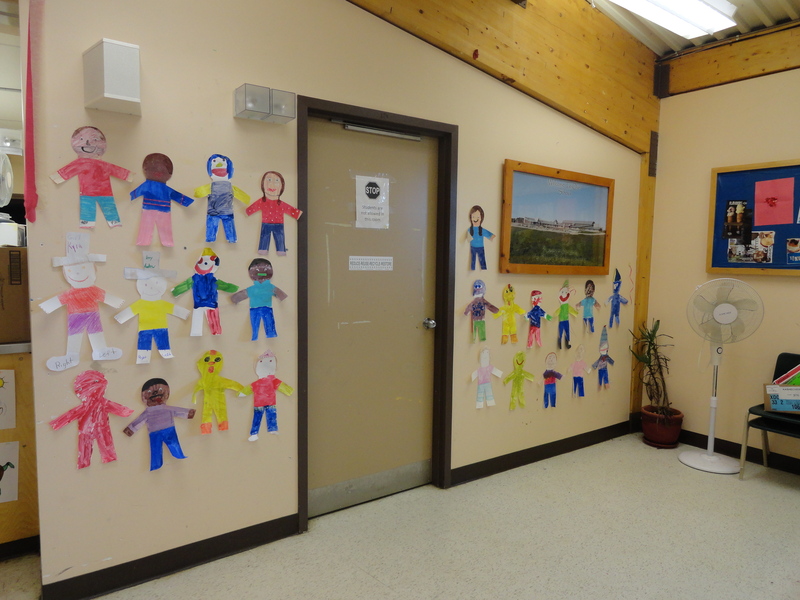 The kids coloured and decorated posters that we created and we posted them all over town. A group of kids from our afternoon program stayed after camp (we didn’t even have to ask for volunteers – they volunteered themselves) and helped us make a trip to the Northern Store to pick up snacks. 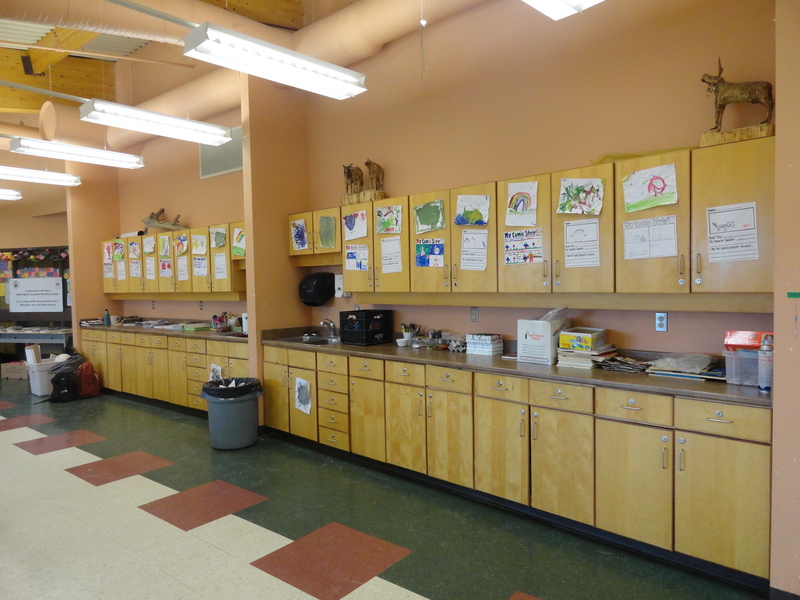 They also hung up artwork and organized the room with all of their favourite games/activities laid out on the tables. Almost all of our regular campers came out to the event with their families. 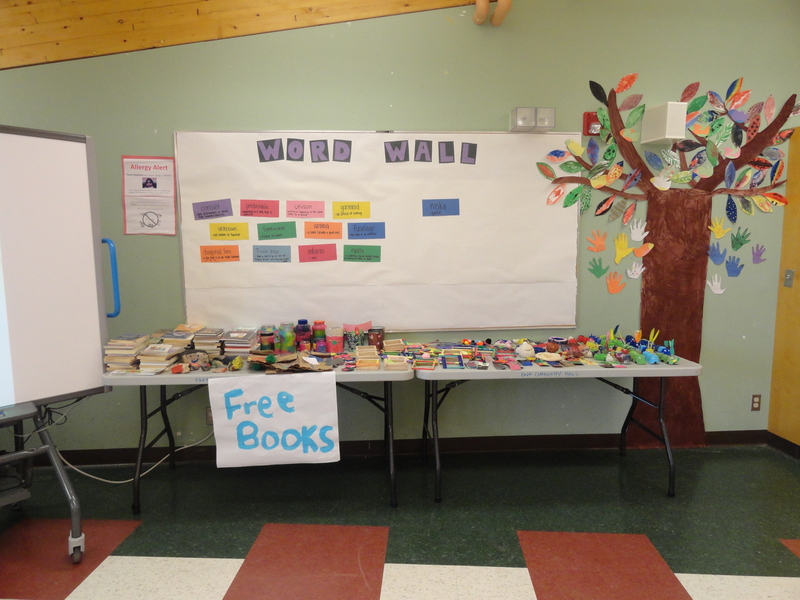 It was incredibly endearing to see how excited they were to show off their crafts, favourite books, and the photo slideshow that we put together. 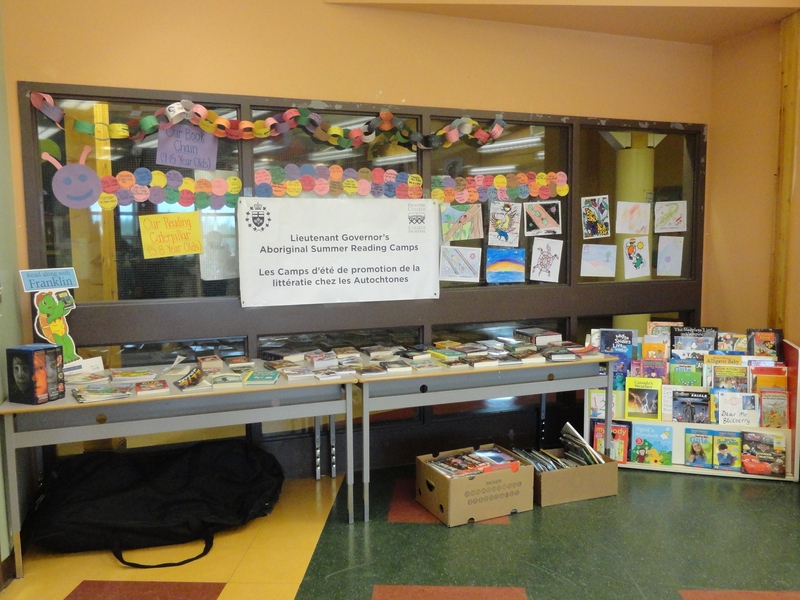 This entry was posted in Fort Albany and tagged First Nations, Fort Albany, Frontier College, Lieutenant Governor's Aboriginal Summer Reading Camp, Northern Ontario on July 31, 2014 by nicoledalessandro.